Having spent some time last week in Pays Basque, visiting France and Spain, I not only found an ideal way to compare seaside between France and Spain,using the target language Simple seaside comparison with verbs, conjunctions and sentence structure , but I also visited Ainhoa! What another gift!I realised that with UKS2 we could create a simple unit of work comparing Grasmere in the Lake district and this French/Spanish border town. So why do I think that we can make a comparison between Grasmere and Ainhoa and why am I so specific in my choice? 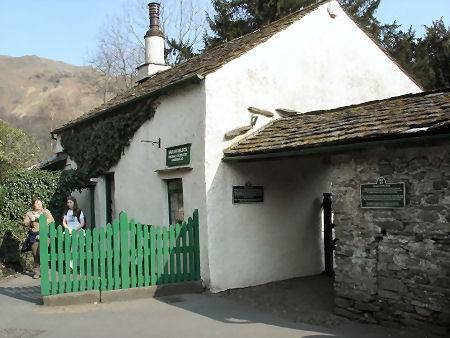 Ask the children to keep two lists of key comparisons between Ainhoa and Grasmere. Each list has a heading phrase "Ainhoa" or "Grasmere".These lists are called the "location detective lists"
Here is the first clue! Take a look at this! The Gingerbread shop in Ainhoa is in a very old building and is just a small counter where you can buy the flat oat- like gingerbread.If you have ever visited theSarah Nelson's Gingerbread shop in Grasmere you will know that this is a very small old building with a counter and the gingerbread is the same consistency. Can the children collect adjectives to describe the look of the gingerbread and the flavours in gingerbread? And here is the building in which you find the gingerbread shop in Ainhoa. Make a comparison record on our "location detectives lists"
Can the children working individually or a small supprted group start their comparison lists. You may like the children to look at recipe for both gingerbreads and compare ingredients using bilingual dictionaries. Both villages are beautiful and traditional and are visited every year by many tourists.They are both situated in the heartof the countryside. So here we can make our second comparisons! Share pictures of the two villages - you can google pictures of the two towns to find the schools, the churches, the rivers , the hillside and the village/town centres. And the countryside features they can see in both villages? Both villages are surrounded by hills and mountains and there is a river in each village. What colours can they see? Ainhoa is red and white and Grasmere is grey stone with black and white buildings. Are there any other adjectives they want to use to describe what they can see? Give the children time to find these in bilingual dictionaries. You can also describe the local sports! In Ainhoa you can play pelota and there is a court on the side of the church building with seating for spectators. Try the game with your class. You need a tennis ball (rather than the traditional hard ball) and bats- for the players.Play the game against a wall. Can the children explain the sport of "Pelota" in Ainhoa- ask the children to write down a simple description with the verb "jouer" - Where do you play? How many people play? What do they play with? Can the children explain the sport of fell running using the verb "courir"- Where do they run? (Up a hill/over a stream/ in the mud/ across fields etc) How many people run at one time? Now it's over to your location detectives to create a poster presentation, comparing a country village in French Pays basque with a country village in the English Lake District!